As part of the AxiDraw® drawing machine kit (www.axidraw.com), I needed a simple way of tensioning the Y-axis drive belt. I designed a little plastic piece with a thread for a tensioning screw - the belt is looped through and then crimped. By tightening the screw against the Y rail tie blocks, the belt can be tensioned easily (check out the AxiDraw website to see what I'm talking about). I initially milled the tensioners from acetal sheet, but wanted to try an injection moulding technique to try and speed up production. It didn't work out very well, and I've since switched to laser-cutting them instead, but I thought the mould might be interesting. The mould is in two halves, both machined from aluminium. 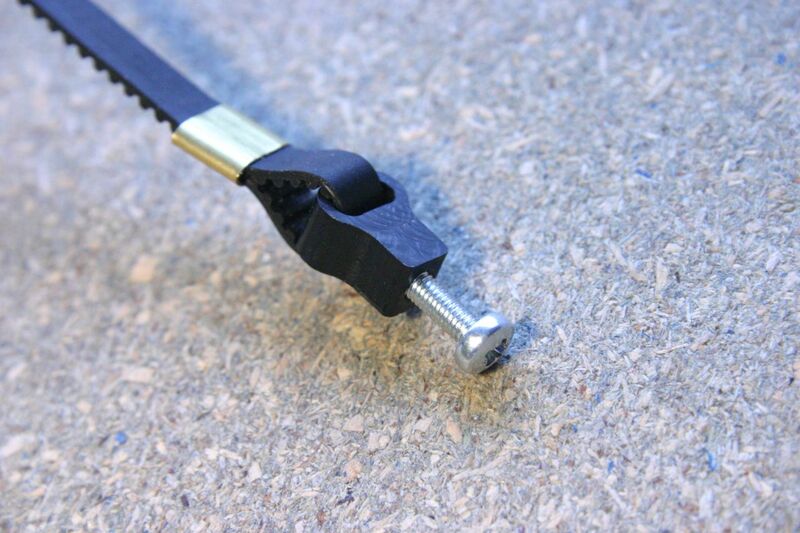 Two 6mm pins are used to locate the halves, and four M3 screws clamp it togeter. A couple of long screws protrude into the mould cavities to try and form a thread in the moulded part. There is a slight (3°) wall taper machined into the cavities to try and help with release. I drilled a hole in one block for a thermocouple to measure the mould temperature. Lacking any proper plastic, I tried using a glue gun, with the mould pre-heated to around 100°C. After heating the mould and scooting the glue in, I cooled it in cold water. Getting the moulded parts out was difficult because of the softness of the glue stick material. The finished parts were too soft to be of use, and there were several bubbles/shorts where the material hadn't flowed correctly. Generally a little bit of a waste of time, but it was fun machining the mould!